Back in 2014, TV makers didn’t know what to do. They were still trying to recapture the glorious positions they held in the mid-2000s when everyone and their brother wanted a new flat panel. They tried 3D, and that didn’t work. By 2014 they wanted to try curved TVs, and it was pretty obvious that wasn’t going anywhere either. 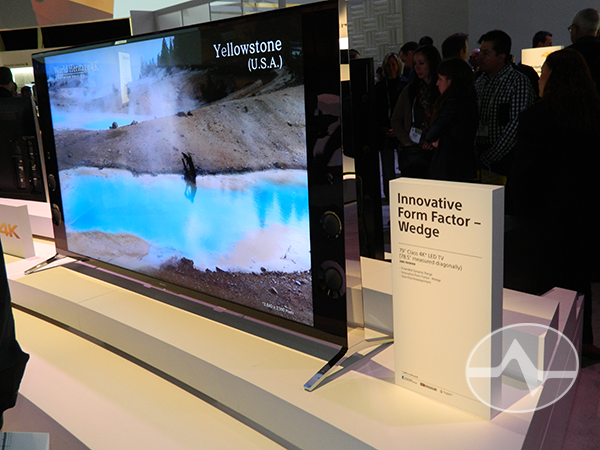 The weirdest trend at the 2014 Consumer Electronics Show, though, was manufacturers showing televisions that were much, much thicker than previous. Sony actually promoted this as a good thing, saying their wedge-shaped TVs were just plain better. Of course that’s ridiculous and everyone saw through it at once. As TVs got less expensive, the low-end ones stayed thick and by 2015, TVs were thin again. Back in 2014, we also saw the first reasonably affordable 4K TVs, although we’re still waiting for the 4K content we were promised back then. If you’re interested in more coverage from the 2014 Consumer Electronics Show, check out all our coverage from back then.